The five-string banjo is set apart by its high G, low D, low G, B and high D strings. 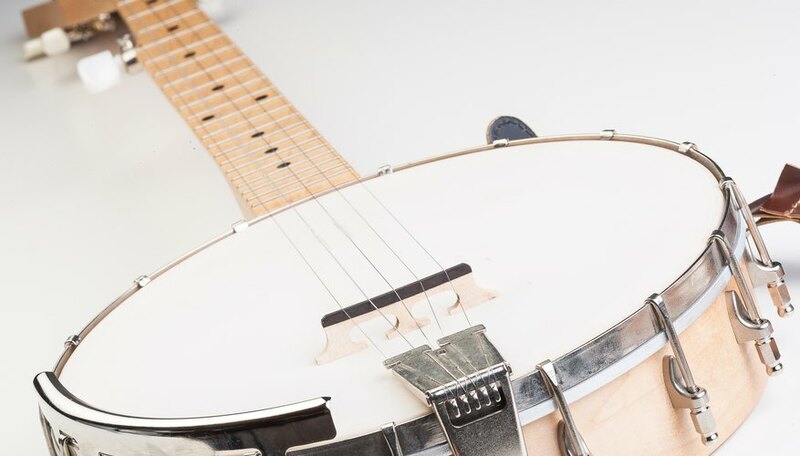 Banjo strings are typically made of wound steel or metal. 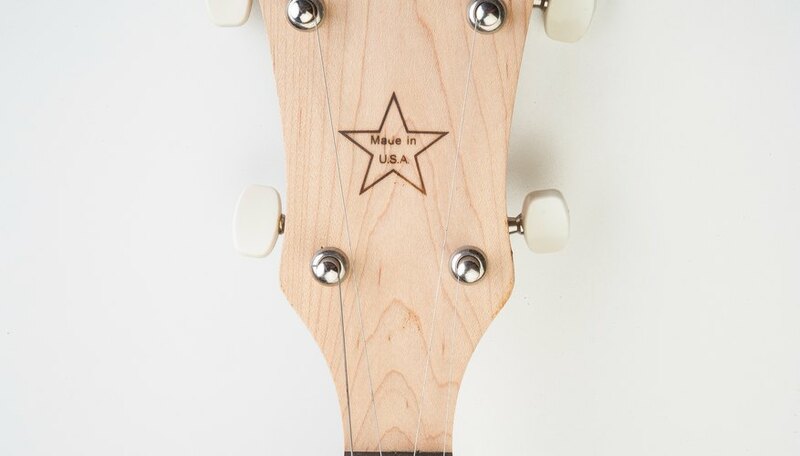 The strings are attached to a bridge at the bottom of the instrument and run the length of the neck to tuner pegs--four at the headstock, and a fifth for the high G string located on the neck at the fifth fret. Thread the high G string through the first string slot in the bridge. Pull the string until the bead on the other end of the string makes contact with the back of the bridge. Thread the top end of the high G string through the hole in the tuner peg located on the banjo's neck at the fifth fret. Pull the string until there is only a little slack between the bridge and the tuner peg. 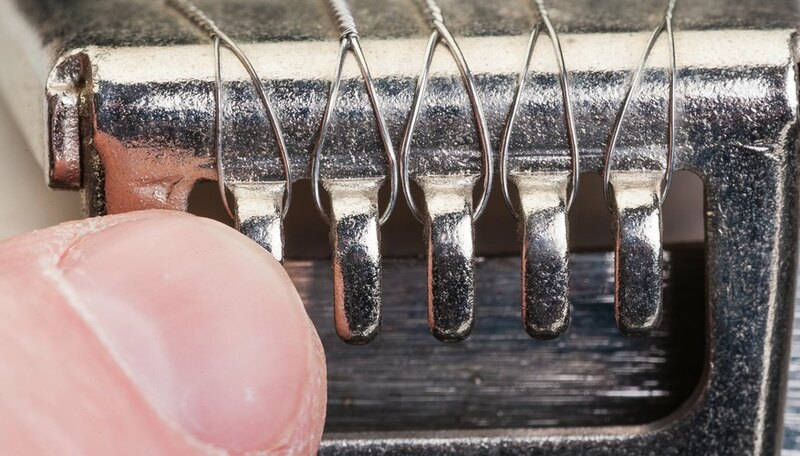 Wrap the end of the string counter-clockwise around the tuner peg and over the string running from the bridge. Then wrap the string back under, creating a simple knot. 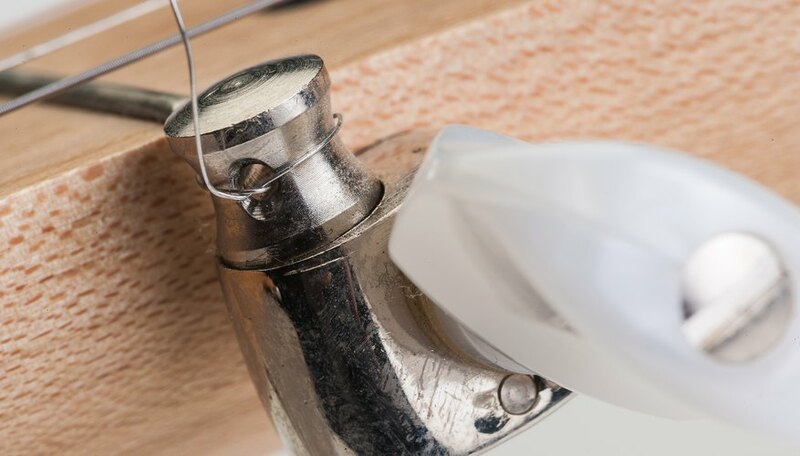 Pull the end of the string until the knot is tight around the tuner peg. 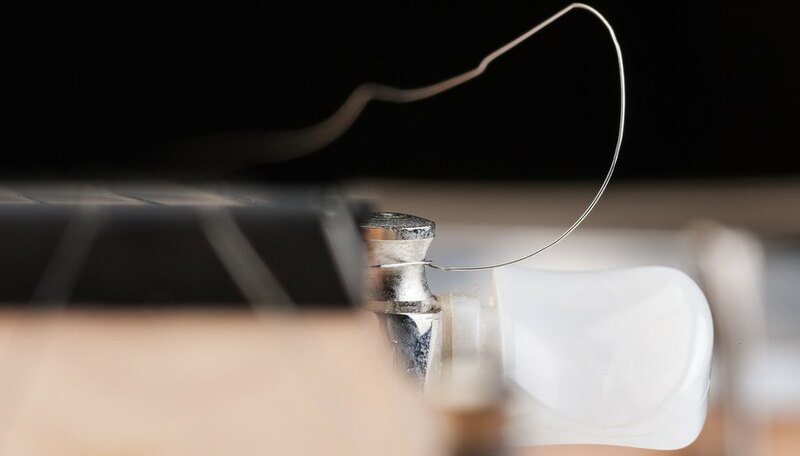 Turn the tuner peg to tighten and tune up the string. 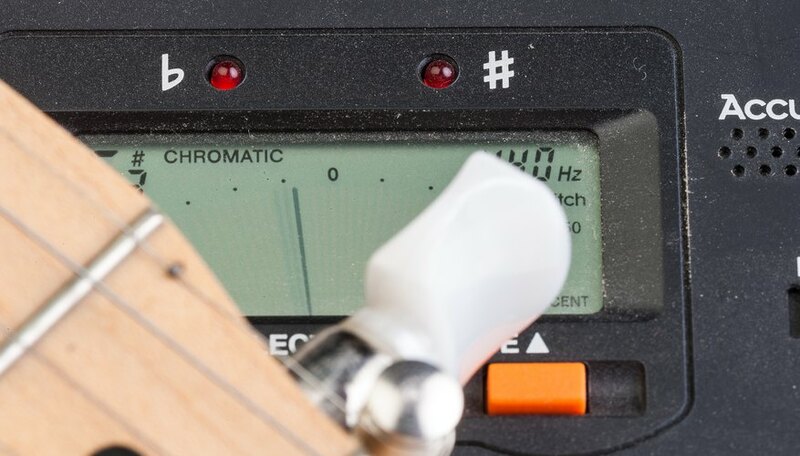 Use an electronic tuner, pitch pipe or software tuning program on your computer to tune the string to a high G pitch. Thread the low D string through the second string slot in the bridge. Pull the string until the bead on the bottom end makes contact with the bridge. Thread the low D string through the hole of the first tuner peg on the headstock (the lower left-hand peg as you look at the banjo upright). Repeat steps 2 through 5 with this and the rest of the strings, utilizing the remaining bridge slots and tuner pegs in successive order until finishing with the high D string. 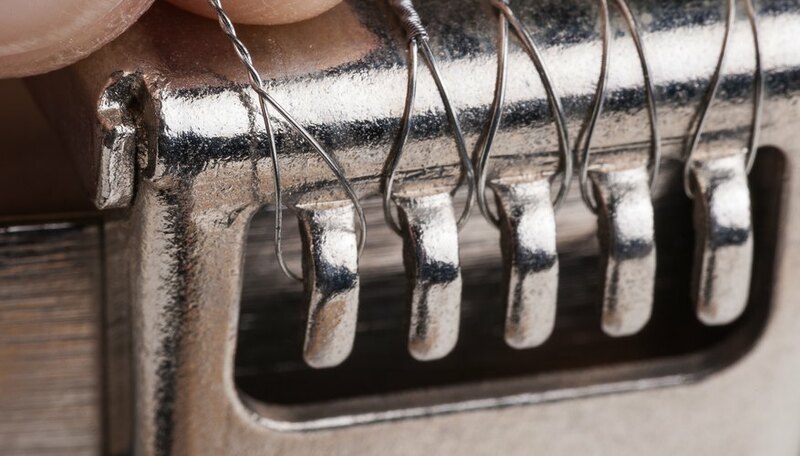 Cut the end of each string at the tuner peg with scissors, leaving about a 1/4-inch length of string. Use an electronic tuner or similar device when tuning to ensure you do not over-tighten the strings. This could lead to string breakage.